Date suggested by A. Blunt, but see C. Sterling and D. Mahon, Poussiniana, c. 1660-61. From the Gow Fund and the University Purchase Fund with contributions from the National Art Collections Fund, The Pilgrim Trust, The Esmée Fairbank Trust, The American Friends of Cambridge University, The Goldsmiths' Company, The Grocers' Company, Ciba-Geigy Plastics and with a number of private donations, encouraged by the Fitzwilliam Museum Trust. Cotte, Robert de. 1689 ?. Mémoire. Blunt, Anthony. A Bristol. Une exposition d' art français du XVII siècle. Lord, Douglas. Une exposition d'art français du XVII siècle à Bristol. Bertin-Mourot, Thérèse. Notes et Documents. Bertin-Mourot, Thérèse. Addenda au catalogue de Grautoff depuis 1914. Rinehart, S.. Poussin et la famille dal Pozzo. Mahon, D.. Poussiniana, Afterthoughts arising from the exhibition. Mahon, Denis. 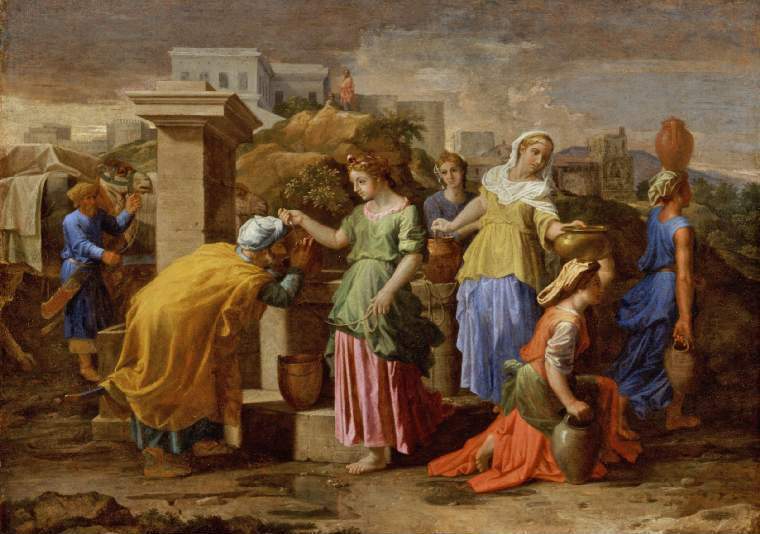 'The dossier of a picture: Nicolas Poussin's Rebecca al Pozzo'.